All through this reverse expedition through the Sermon on the Mount, we have been taking time out to think about what Jesus thought (and taught) about a rock-solid foundation for living. Today His words confront a world that is trending toward becoming founded on quicksand philosophies. As our culture sinks into this swamp, we have been examining Jesus’s way out—His way of salvation. Sadly, only a minority will find this path, and the numbers will be small because of humanity’s freedom to choose. But still Jesus is offering the way, the truth, and the life. Because of this, we can see how making positive choices regarding what to do can make a positive difference in our life’s footing. In other words, Jesus is teaching about hearing the word and doing the word that He teaches, if we truly want a solid foundation upon which to stand when life socks us with raging storms. Now we come to something that powerfully addresses who we are. If you look closely at the above scripture passage, Jesus does not talk about what we were or what we might be, He talks about who we are. He gives us a description of two powerful identities. He calls Christ followers “the salt of the earth” and “the light of the world.” Both of these identities have the potential to strengthen the foundation of our lives and the lives of those around us; however, if these identities are desalinated or cloaked, life may become a quagmire. Savorless Salt. Burned Out Light. A Real Cover Up. Now in this passage, Jesus also provides a contrast to this identity. Once again, He makes a statement, and then He says, “But…” After describing our identity as light, Jesus seems to indicate the possibility of not fulfilling that call. When describing our salty identity, He implies that we can lose the ability to put spiritual seasoning into life. He describes salt that is not salty. Moving to our identity as light, Jesus talks about committing a cover-up. He seems to be talking about light that is still fully capable of shining, but at the same time, He is talking about the light being covered up. 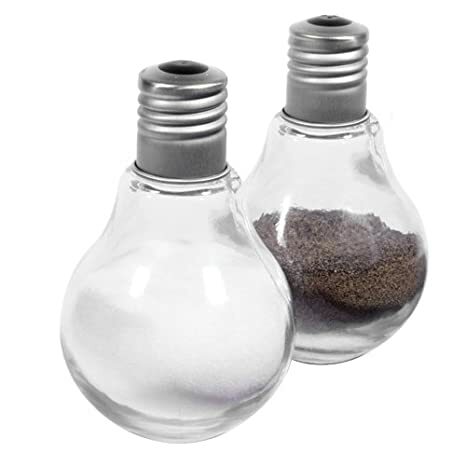 Saltless salt and covered light are not worth a lot. We who are to be salt and light are diminished when we are not revealing our authentic spiritual selves and this diminishes the lives of those whom we hope to impact in a positive way. I think it is true that neither saints nor sinners live in a vacuum. We influence one another by being who we are or by not being the ones God calls us to be. Will we stand on a solid foundation and influence others for good or on a shaky foundation and influence others for ill? That is the query of life. What is salt to do when it has lost its saltiness? What’s light to do when covered up? Here I go again, asking the wrong questions. What better questions to ask? My answer is—you guessed it—more questions. Who originally made the salt salty? Who originally gave the light its light? Are these not created things? God clearly states that He makes those who surrender their lives to Him “new creations”; therefore, can He not do as He has promised, if we surrender to Him? Can we not be transformed by the renewing of our minds? (See Romans 12:1.) Cannot we, who are in the eternal covenant relationship with God (Hebrews 9:12, 22, and 10:10–24), experience forgiveness, holy blamelessness, and perfection in God’s sight? Can we not also experience vital spiritual transformation? Can God not give us grace to overcome the spirit of timidity or fear? Cannot God infuse us with power, love, and a sound mind to throw off our coverings that block the light? Certainly He can, if we choose to be the people He has called us to be. Yet we can make choices just as our ancestors Adam and Eve did. They chose to live independently of God and not to trust Him. We have the same choice; however, we can also choose to be people of faith and surrender to Him. We can choose to be saltless salt by not surrendering daily to God so that He can transform us. And we can still choose to continue the cover-up. Or we can choose to be the seasoning that God uses to put savor into unsavory lives. We can choose to throw off the covers of our light and allow God Almighty to make us lamps for the feet of those who want to come out of darkness. We truly can be the light of the world by His grace and power. It is a matter of truly believing in our loving Creator to make us what we need to be. Just as we previously chose the narrow gate over the broad way, we now have the grace to choose life. We now have the grace to steady our feet. We now have the grace to turn over our weaknesses and our fears and our character flaws to become new creations. By the power of Almighty God’s Holy Spirit, we can actually be the salt of the earth. We not only have the potential to be the light of the world. We can actually be the light of the world! We, who have God’s Holy Spirit, have received the power we need to make the right choices. We have God’s grace to be the savory solution to unsavory living. We have the light that shines on the roadway of people’s lives so that they can travel on heaven’s highway of eternal-life living—a life forever shared in traveling with the Creator. The torrents of life’s loud, clashing storms have come, and I can assure you they will continue to come. Will we choose life? We can, and God will help us to be what we need to be: salt and light. Why not shake a little salt? Why not shine the way by allowing our Creator to shine His light from within us? Why not believe the truth? We are the salt of the earth! We are the light of the world! There is another strongly built identity tucked away in this sacred passage of saltiness and light. If you read too quickly, you may miss it; but it is definitely there, almost hidden away in the last part of the fourteenth verse: “A city on a hill cannot be hidden.” Now this description sounds fairly reasonable, does it not? How can you hide a whole city? I really don’t think that it’s possible to put a complete metropolis in stealth mode. Yet those whose lives are stuck in the mud seem not to be able to see the city on the heights. For them, it is completely off the charts—like Atlantis. Vicki, the children, and I lived in Italy, and we would travel along the superhighways of that country as much as possible. We would often drive through the mountains, and it always amazed me that—sequestered way off in the distance—there would be a city. If the roadway allowed us to drive close enough, we could see the design of those pre-twenty-first-century towns; at the top of the city would be the church. The rest of the township spread out from there. We could see markets, other businesses, and then the homes farther away from the church. Then there would be a wall around the city with gates. Roads allowed people into and out of the city. All the life-giving supplies from the rural areas came to this place of life. In the city people could sell their wares and buy supplies for sustaining their lives. The church was their place of worship, and the city built around it was the place of the commerce of life. In the United States, the cities of our great nation stand out across the landscape. People, from all over the world, visit our large cities like New York City, Chicago, San Francisco, Los Angeles or even Miami. These sprawling metropolises provide them with once in a lifetime experiences. But whether we visit an ancient Italian city in the mountains or a modern metropolis like London, New York, or Tokyo, it is obvious that there is absolutely no way to cover up a city. The city’s existence simply cannot be stealthy. Too much life comes in and out of the cities. Yet Jesus says to His disciples—the transparent people of God who are looking for a city not made by human hands—you are a city on a hill. Just as you have the ability to put savor into the lives of unsavory, wounded people and have the ability to chase away the darkness for those who are stumbling through life, be who you are! Don’t cover up any of your identity. 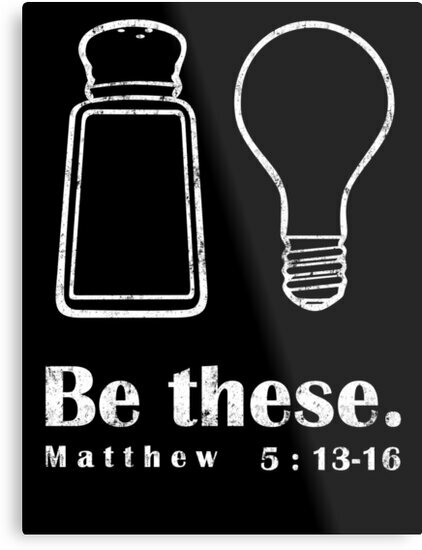 Be the salt of the earth. Be the light of the world. Be the city on the hill! If you are not going about being salty, what good are you? If you are not going about illuminating the world with God’s light, how are you benefiting others? If you are not acting like a city on a hill — openly offering choices of life, liberty, hope and joy — then how are you helping those who are looking for a place to call home? In these modern days, we are God’s GPS. We can show the way to the city that is the center of the universe where eternal life and true life are forever abundant. We are still the ones, if we are Christ followers, who can make a difference in a land and culture that is crumbling. We can be in relationship with Jesus and be transformed to spice up life for the lifeless people who merely exist. We can be in a relationship with Jesus and let Him light up our lives. We can brighten the lives of those sinking in darkness, brokenness, despair and the storms of trauma. Come on, let’s turn on our spiritual GPS. Let’s shake a little salt. Let’s let God light up our lives and be the light of the world. Let’s be the life giving, spiritual commerce port of the world. Let’s experience and give away rock-solid living in this quicksand world.